New « DISC CORE » hub, stronger, for more rolling and always a lot of comfort. This wheel, with its slim profile, got an exceptionnal rolling that makes the difference between other wheels form same range... exceptionnal rolling and good grip when pushing. 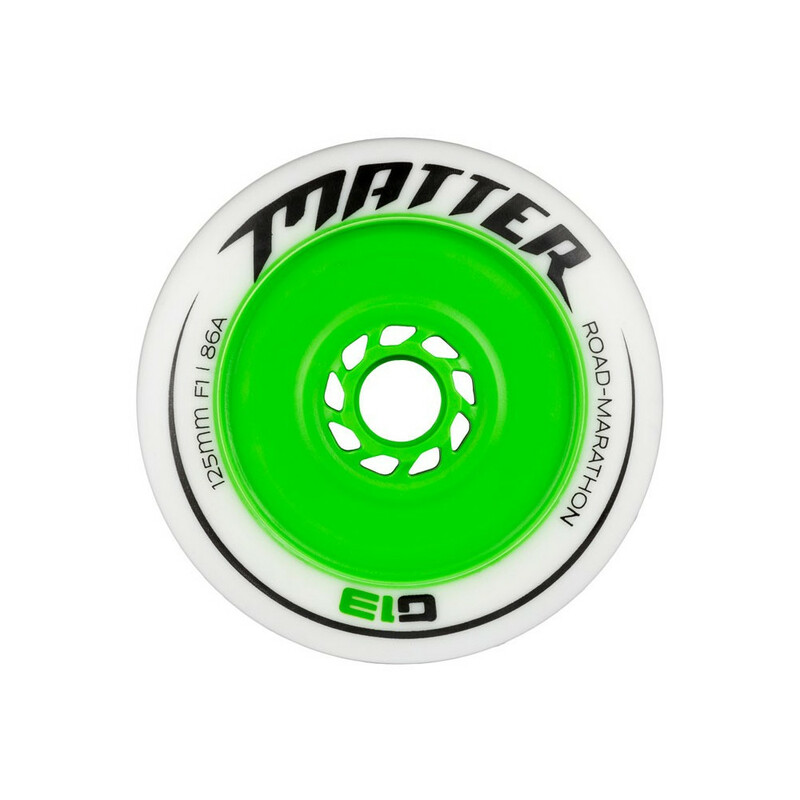 The outter material got a harder durometer for good rolling, and the inner material is softer for flex in turns and lateral pushing, that allow more floor contact and more grip. F1 durometer is the most used, form flat floors and tracks.